Happy Paddy’s day everyone 🙂 As you may or may not know I’m Irish and in honour of the day that’s in it, I’m going to share some of my favourite books by Irish Authors with you and do a little mini review for them. The 3 I’m showing you are all very different types of books but what they have in common is that they are all keepers for me and all have been reread many times. So in case you have never read any Irish authors, here is my sampler menu for you. This was another reread for me and I think the very fact that it is a reread says a lot. When I read this the first time, there was a huge shock factor when I read the vivid description of the horrible abuse Paula endured. This time around I was expecting it but it still got to me. Without a shadow of a doubt Paula is one of the most authentic woman’s voice I have ever read and I’m amazed that it was written by a man. Not an easy, comfort read but still highly recommended. I must have originally read this book about 25 years ago and it’s one of my comfort books. Yes, I know most people have comfort food but I have comfort books! This book is the literary equivalent of wrapping yourself up in a warm blanket, settling yourself on an old but comfy couch and having a long gossip with a good friend. It’s heartwarming (but still gritty), the characters are multi dimensional with lots of flaws but remain engaging. Echoes gives a lovely snapshot of Ireland as it used to be in the 60’s (No!, I wasn’t around then! But according to my mother it’s authentic). Not that it’s rose tinted, there is a lot about social class divides and the ending is not a happily ever after one but it is realistic. Bookish Chat : Have you read any of these or do you think you will try any of them? Let me know, as I always I love getting comments, they make happy that you took the time to join in. Cheat Sheet Justifications for buying all the books! I haven’t read any of these books (or honestly, have even heard of any of them), but In the Woods intrigues me – especially with your rave review! I don’t read a lot of murder books so it’d be a nice change, so it’s definitely going on my TBR list! Yay, go for it! Nothing like a good murder to mix things up a bit. And this book is such much more than the usual whodunit. Oh I have Into the Woods but it keeps getting bumped down my list, but it sounds dark and awesome! I really like Maeve Binchy, but have never read the others. 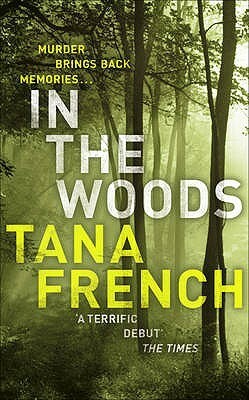 It sounds from your description, though, that the Tana French is right up my alley. I’m definitely adding it to my list! Thanks Lark, let me know what you think if you do read it. Thanks Trish for sharing these, all but Binchy are new to me and I appreciate you taking the time to share them. And thank you Kimba for taking the time to come check them out 🙂 Its not like you don’t have enough on your hands with the Read-A-Thon this weekend! 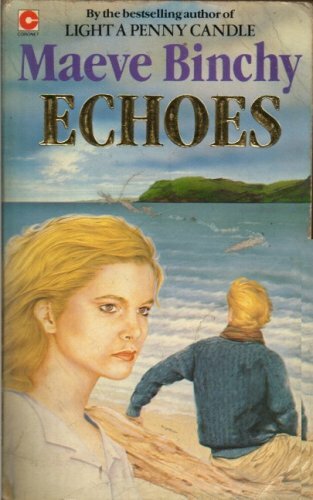 I love Maeve Binchy’s books and Echoes is a great choice. 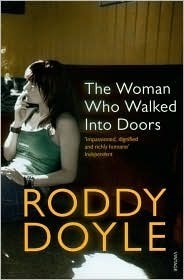 I still haven’t read Roddy Doyle or Tana French but they are on my shelves!